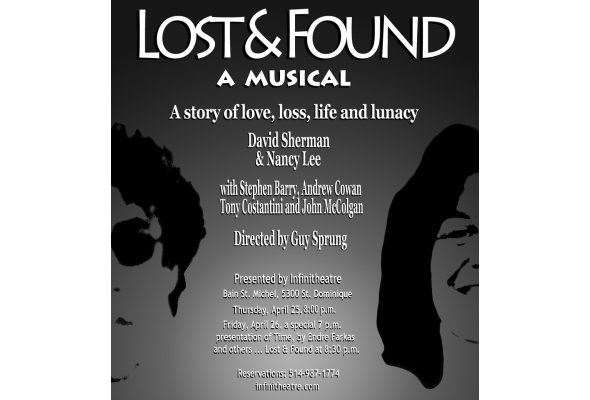 David Sherman – journalist, editor, playwright and singer-songwriter – is presenting his latest work, a musical titled Lost & Found, with fellow musician Nancy Lee. Its subtitle – a story of love, loss, life and lunacy – reflects Sherman’s travels of the mind and heart. It is directed by Guy Sprung and presented for one night only, Thursday, April 25, at Infinitheatre, 5300 St. Dominique. Sherman and Lee are backed up by a band that includes such A-List musicians as bassist Stephen Barry and guitarist Andrew Cowan. Suggested donation is $10. 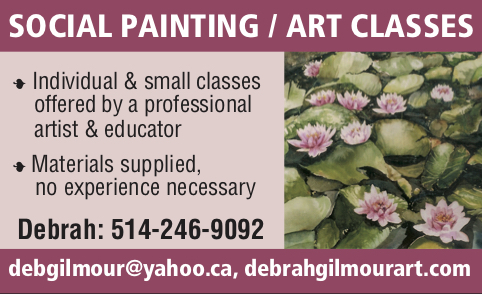 Info 514-987-1774 or infinitheatre.com. Be the first to comment on "Theatre preview: Lost & Found"